The Historic Millwork District is saturated with history. It imbues the area with authenticity and character while offering valuable lessons about the importance of sustainable urban design strategies. At the turn of the century, the District was the innovative and entrepreneurial center of the region and was the backbone of the regional economy. 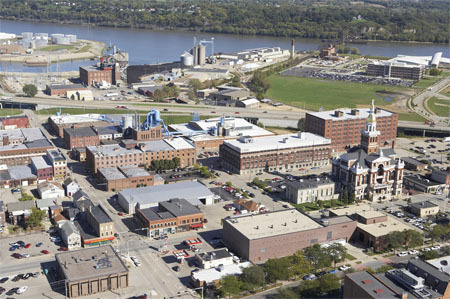 Dozens of companies, 2,500 employees, a district heating system, and intimate connections to Downtown and the Washington Neighborhood characterized the District. This District will resurrect the forgotten strategy that connects people, planet, and profit in a mixed-use neighborhood. It offers a vision for a community reconnected with surrounding neighborhoods, reenergized with housing, retail, offices, galleries, entertainment, and employment, and re-imagined as a laboratory for sustainable practices and technologies.